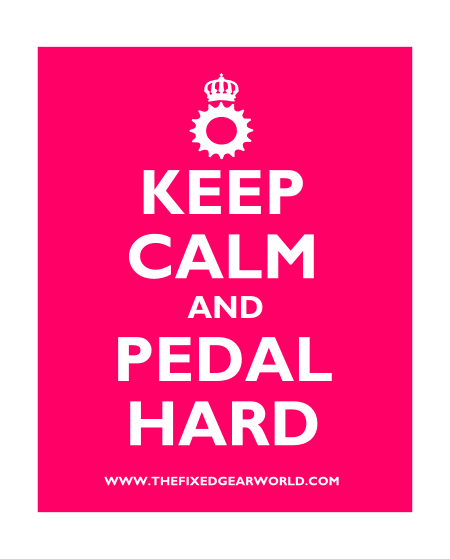 Here we have our "keep calm" dedicated to all the riders of fixed gear bikes, fixies, single speed, FGFS and trackbikes all over the world, enjoy this weekend with your bikes, and always...pedal hard! Spread it, share it, and thanks!!! !